The Burns London guitar company was originally formed in 1960 as Ormston Burns Ltd, by James Ormston Burns who was an innovative guitar designer and maker. Burns set out to make, in his own words, “mass produced one-offs”, such as the Marvin, a radical take on the Fender Stratocaster style but with many differences. The Bison was another guitar now considered a classic, using the now famous “Wild Dog” electronics, allowing the high-output Tri-Sonic pickups to be selected in many different, and sometimes unusual, combinations. These original designs were used by high-profile performers of the time, such as Elvis Presley, Hank Marvin and Jimmy Page. The company enjoyed a high level of popularity in the 1960’s and 1970’s being seen as a cheaper alternative to more expensive US brands such as Fender and Gibson (at this time US goods were subject to high import tarrifs). The original Burns company ended in 1970 and during the seventies several attempts were made to resurrect the brand. In 1992 the company was restarted by Barry Gibson who employed Jim Burns as a consultant in the company. 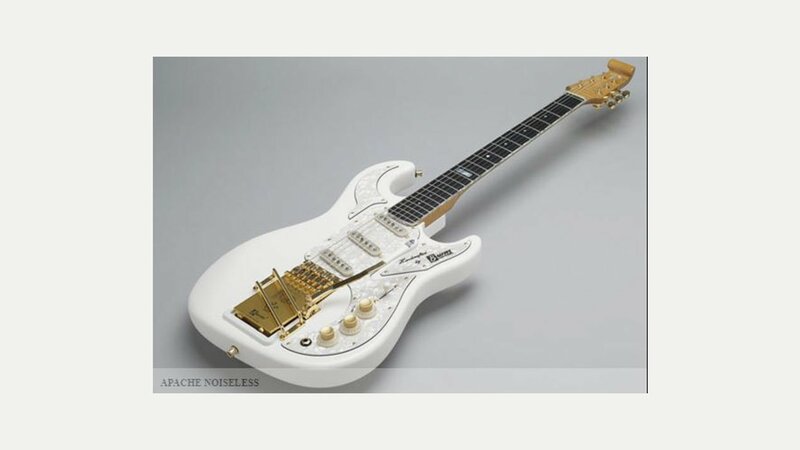 The original idea was to manufacture handmade replicas of famous Burns guitars from previous incarnations, such as the Marvin and the Nu-Sonic, manufactured in the Far East. As well as this, more recently a cheaper range has been introduced that is manufactured in China.